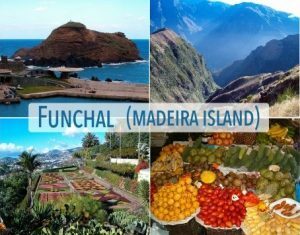 Madeira (Portugal) – October 5, 2018 (travelindex.com) – In a strong keynote address to Tourism Experts, Doctors and Students gathered on the Portuguese Island of Madeira, Professor Geoffrey Lipman Co-Founder of SUNx – the Strong Universal Network said that the industry is running out of time to craft a meaningful response to the existential challenge of Climate Change. He said that “Health Tourism – nature and medically linked – may well be in a sweet-spot of tourism growth, at more than 10% a year… but without a climate resilience strategy it will be equally vulnerable to the ravages of extreme weather and the consequences in terms of floods, fires, droughts and climate refugees”. Lipman pointed to the heat patterns in the Northern hemisphere, the droughts in Australia, the typhoons in Japan and Philippines– as well as last year’s devastating Caribbean Hurricanes and this years’ US floods and forest fires. He noted that “in the past decade more than 20 million climate refugees had already emerged – this is the tip of a humanly tragic and politically disruptive iceberg”. It will only worsen as we head towards 3o – which is where we will be in 2050 if we don’t make radical behavioural changes. As a leading sector Tourism must be in the forefront of those changes. Lipman profiled the SUNx network to galvanise tourism destinations and to link the enormous body of research being done at Universities around the world, as well as the data and analytics from committed organizations inside and outside the Travel and Tourism sector. He also outlined SUNx lifetime learning approach with a Dodo cartoon series for kids, online University courses, a universal portal, focusing the most useful climate data analytics, and Strong Legacy Scholarships for graduates. The first of these will launch in 2019 in collaboration with t-Forum and the IRiSS the Italian Services Research Centre. This is complemented by an annual Climate SmART Award for Museums, as the ultimate learning centres. Finally, he discussed the partnership project with TraNeXus, designed to bring Blockchain solutions to provide carbon accounts for travellers, which he believes will be needed as the Paris Climate Accords bite in the next decade and we will all have to deliver low carbon lifestyles. Quoting Maurice Strong he said “the planet will survive as it has done for billions of years. It’s the people we have to worry about” He concluded with the Club of Rome’s call for action “Come On – It’s almost too late. …. but we can fix the problem if we act together, now. Professor Geoffrey Lipman is co-founder of SUNx. The Strong Universal Network SUNx, is a program of the EU based, not for profit Green Growth and Travelism Institute, and a legacy to the late Maurice Strong – Sustainable Development Pioneer. Its goal is to promote Climate Resilient, Impact-Travel with good & bad effects measured and managed coherently: with Green Growth at the core and, 2050-proof in line with the Paris Accords and the W.E.F. 4th Industrial Revolution.